I recently heard a sermon that talked about consumption. The saying “you are what you eat” can be taken as so much more. What if it said “you are what you consume”? Do you watch a ton of TV, listen to negative talk radio, or spend too much time on your smartphone? Is your life consumed with family and good, or are you consumed with things that don’t matter? I am receiving a promotional item in exchange for this post. All thoughts and opinions are my own. I have someone in my life that is consumed with things that are not important. Instead of playing with the kids, they play on their phone. Instead of enjoying a family meal, they are watching TV. They are missing out on the most important parts of life… family, friendship, love. One thing I always do is listen to Christian music. I find that, no matter what is going on in my life, listening to Christian radio puts things into perspective. Just paying attention to the words will bring clarity to life’s situations. I am able to remember the love of Jesus for me. My kids learn about Jesus’ love for them through the words of Christian music as well. There is nothing quite so touching as hearing them seeing “church songs” (as Jemma calls them) and spreading the love of God amongst themselves. 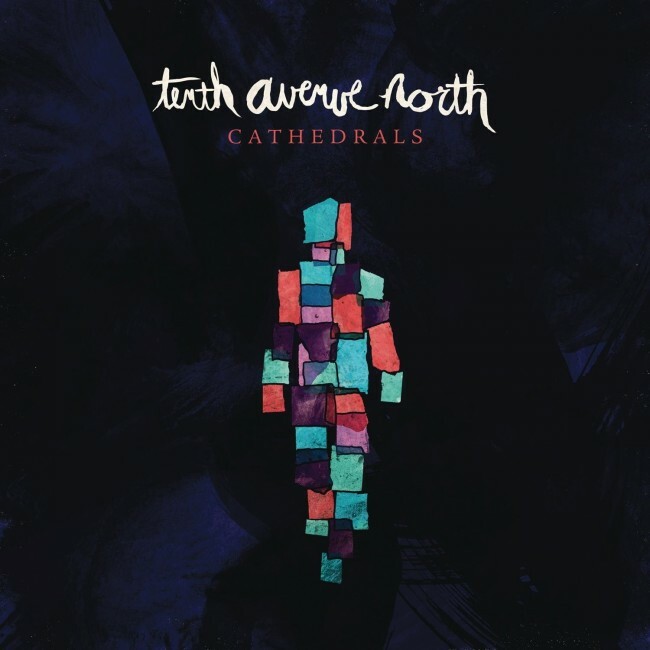 One of our favorite bands is Tenth Avenue North and we are loving their new album, Cathedrals. The songs make me smile and bring joy to my life. It all began with Over And Underneath, the debut record from Tenth Avenue North that introduced the bands signature style of intellectual melodic pop/rock. It was also the start of the bands story song, communicating that Christ is both over and underneath. Hes higher than the heights of our purity and lower than the depths of our depravity. Tenth Avenue North then released their sophomore effort, The Light Meets The Dark, continuing the story with songs that were both poignant and powerful. Lead singer, Mike Donehey, explained this next step in their musical journey. Okay, now if you believe that you are messed up, let people see how messed up you are, are you ready to confess? Are you ready to have all your masks taken away? The message of The Light Meets The Dark was that we are more than the sum of our mistakes, were the sum of the Fathers love for us. The next chapter continued on the bands third record, The Struggle. This collection of songs explained that once we know that we dont have to save ourselves, we are freed up to be honest about our struggles. We can admit that we feel worn, and we need redemption. We are free to struggle, but hallelujah, were not struggling to be free. The band was struck by John Dunns memorable quote, no man is an island. With these new songs, Tenth Avenue North encourages us to get off our self-made islands of isolation, to break the chains of shame that have kept us there, and find communion with God and each other. Tenth Avenue North encourages us to realize Gods spirit doesnt dwell in buildings; He dwells in us for WE ARE HIS CATHEDRALS. Deluxe Edition Includes 3 Additional Songs. I encourage you to listen to Christian music from time to time and be sure to check out the new album from Tenth Avenue North! From now until 12/24, you can purchase Cathedrals from Family Christian for only $6.99 (with coupon). You will love it! Are you cognizant of the things that consume you? Do you ever need to re-evaluate your time and make sure you are consumed by the right things/people? I am consumed with work things mostly and getting things done. I haven’t listen to Christian music forever , but there are some pretty good songs. I don’t listen to Christian music exclusively, as I enjoy many secular songs as well. But whenever I need to step back from the frantic-ness of life (a lot, lately), I love turning on K-Love in the car, or finding my favorite Christian bands on Pandora at home, and just…resting. It’s very easy to become consumed by unhealthy (or even just less healthy) things. I tend to go through spurts of what consumes me at the moment. I look at it as everything in moderation. So any times we just get all consumed with “life” forgetting that we need to be purposeful. Great reminder. It’s so easy to get consumed in the wrong things. It’s good to step back every now and again to put things into perspective. I am only consumed by things I have to do, I don’t really get much time for myself! I spend my time with my son mostly. I love being able to work from home. I’m here around his schedule. I spend most my time with people I love and I focus on them; all that I do are not distractions. It’s all stuff like and choose to do. I spend way to much online , but I work online so yea, it’s a catch 22. I need to spend more time with my kids. Great post, message, and song. Listening to Christian music puts things into perspective for me as well. Thank you so much for sharing! I’m usually consumed with my work. It’s hard not to be when you’re self employed. I always have to stop and think about what I’m doing and what I’m doing. So many unnecessary things use up my time and attention. I’m always looking at my consumption. Problem is, I don’t have one thing but multiple small things that tend to take over. But, I always put my family first – as I was taught. I can’t say the same thing about my husband who falls into the smartphone consumption. He feels if he works hard he should get to play on his phone. Meanwhile his wife and daughter are wondering if hes going to be present for us as we feel we deserve his attention. This has been a battle for a long time and we’ve even discussed it with the church counselor. I just hope, before its too late, he realizes that whatever is on Facebook can wait, but his daughter can’t when he has to share her with his ex wife. I am constantly reevaluating. 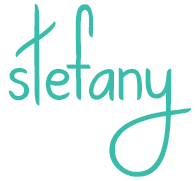 I can’t seem to find a happy medium between some things so I guess another eval is in order! No I was not until this post. I will take stock and re-evaluate. So perfect to prepare for the new year! I think it’s always important to evaluate how you are spending your time and with whom! I am not quite as diligent in doing this, as I should be! I am consumed by so many things…and I’m working on changing. Being a busy mom, blogger, wife, caregiver, and grandma I am constantly reevaluating how I spend my time. There are always adjustments to be made and changes that we can make to better ourselves. Sometimes we all get busy with the “unimportant” but the important thing is to recognize this behavior and focus on what is important. It’s easy to get sucked into negativity, so you have to stay vigilant. I can completely vouch for this. I used to someone who used to focus on small things that would bother me and found that nothing good would really phase me. By finding blessings in every day things I have really transformed the way I see the world. Sometimes I get caught up in checking my email or something that my kids will say “get off your phone!” I am not always aware, but I have my kids to help me in that area. I am consumed by my work and then as I am consumed… I hear my daughter talking to me and I’m like.. WHOA… I need to focus on my kid. Yes, I constantly reflect on what is consuming me. It’s important to direct my energies in the right direction. I know there are a lot of things that consume and/or distract me, but sometimes things just have to wait, you know?